Egypt is still reeling in the midst of a foreign-backed color revolution. The protests led by International Crisis Group trustee Mohamed ElBaradei and his "National Front for Change," have been assembling their forces and building up an opposition for over a year. ElBaradei's April 6 Movement had actually been in the US in 2008 to attend the US State Department and corporate sponsored Alliance for Youth Movements inaugural summit, before beginning their campaign and protests for ElBaradei. There are also the independent labor unions, organized and supported by the US National Endowment for Democracy(NED) funded NGO, the Solidarity Center joining ElBaradei's calls for "change." With Mubarak declaring his resignation and the military taking over, it will be days, perhaps weeks before we can determine if the foreign-backed color revolution was successful and to what degree. The US State Department is already preparing a "new package" of assistance to Egyptian opposition groups, specifically to reform the constitution and compete in elections. That's right, the US State Department that hosted the Egyptian protesters back in 2008 in New York City will now be funding their front ahead of elections to see their handiwork through to the end. Who is Backing Them and Why? The Alliance for Youth Movements (AYM) is yet another tentacle of the globocrat combine crawling forth on behalf of the US Government and the big-businesses that own it. Everyone from the RAND Corporation to the Council on Foreign Relations and all the mega-corporations they represent are using AYM to literally recruit, train, organize and support an army of exploited youth activists to carry out US foreign policy abroad on behalf of corporate interests. Like the AYM, the US National Endowment of Democracy funds many NGOs worldwide for a similar purpose. One look at their board of directors reveals a conglomerate of Council on Foreign Relations, Carnegie Endowment for International Peace, Brookings Institute, and CSIS members. These "research" organizations in turn represent the collective interests of the most powerful political figures, corporations and banks on earth. A look at their board of trustees reveals that many of the very men involved in this "non-profit research" are direct representatives of the world's largest corporations, from the big-oil corporations poisoning the world's oceans and shores, to the banking houses plundering the world's economies, to a myriad of defense contractors fueling the endless wars the West is prosecuting globally. So then what change is it they seek to gain by creating and backing organizations like AYM or by backing unrest in Egypt? The short answer is empire. In the late 90's these think-tanks, NGOs, and research groups together with their International Monetary Fund and the World Bank made immense loans to developing nations around the world. Nations were forced to take these loans with the threat of sanctions aimed against them by the World Trade Organization should they refuse. Like a mafia loan shark, these globocrat gangsters decided to call in the loans knowing how hopelessly unpayable they were. And like a mafia loan shark, favors were asked of those who defaulted on their payments. Target nations were called to exercise sweeping economic liberalization reforms, eliminating their control and protection over their economy, industry, infrastructure, and as a result, eliminating their national sovereignty itself. It was a new form of an old art. It was economic neo-colonialism. This is no different than the one-sided trade deals made by the old European empires with target nations in the colonial age. These trade deals also included ownership of property by foreigners, the ability to operate a business, and travel with impunity throughout the host nation - all with minimum or no taxes imposed upon the foreign occupiers. The only difference would be that modern day concessions are forced through invasive economic policy, while colonial concessions were forced through "gunboat policy." 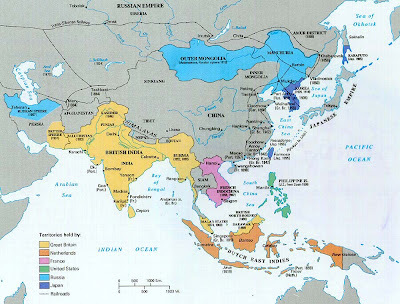 Thailand, then the Kingdom of Siam, was surrounded on all sides by colonized nations and in turn was made to concede to the British 1855 Bowring Treaty. See how many of these "gunboat policy" imposed concessions sound like today's "economic liberalization:"
A more contemporary example would be the outright military conquest of Iraq and Paul Bremer's (CFR) economic reformation of the broken nation. The Economist gleefully enumerates the neo-colonial "economic liberalization" of Iraq in a piece titled "Let's all go to the yard sale: If it all works out, Iraq will be a capitalist's dream:"
As you can see, not much has changed since 1855 as far as imperialist "wish-lists" go. The Economist argued, as would any 19th century imperialist, that Iraq needed foreign expertise to catch up, justifying the evisceration of their national sovereignty. The IMF invasions of the 90's prompted leaders around the world to insulate their nation and its economy from similar attacks in the future. The prospect of using military force by these globocrat elite is also becoming more and more difficult, expensive both politically and economically. Their proposed solution is staged color revolutions. With the help of their mass media in combination with agitators they themselves have organized via NED, Freedom House, and AYM, they can overthrow nations and install their own puppets who are sure to make favorable reforms. Not only is this accomplished without firing a shot, but it's done under the guise of a "people's power revolution" for democracy and freedom. The key to balking these nefarious designs is to understand them and raise awareness of them before they unfold. For Egypt it may be too late. For other nations there may still be a chance. The next high profile targets will most likely be Iran, with the AYM already gearing up, and Thailand. 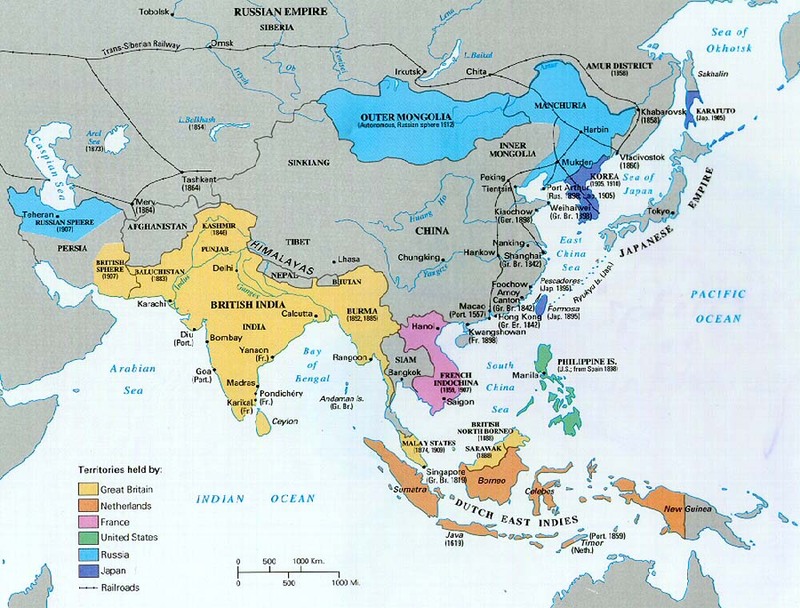 Thailand has balked Western ambitions toward its territory for centuries, not without making concessions, and has already put down 2 staged color revolutions in 2009, and 2010. Amsterdam co-defending them suggests otherwise. 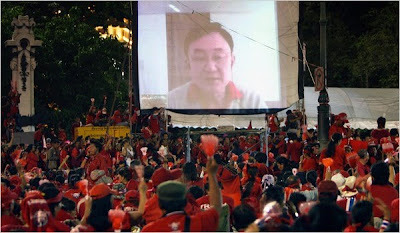 These "red shirt" color revolutions are the work of former Thaksin Shinwatra and a myriad of foreign backers. Thaksin was a former Carlye Group member before taking up the Premiership in 2001. He pursued a campaign of power consolidation, elimination of the nation's checks and balances, and a program of economic liberalization (read: selling out the country to foreigners). On September 18, 2006, Thaksin was in New York City standing in front of the Council on Foreign Relations giving them a progress report on "democracy" in Thailand. The next day the Thai military staged a coup and swept his treasonous government from power. It was previously reported that since his ouster from power in 2006, he has been backed by fellow Carlyle man James Baker and his Baker Botts law firm, International Crisis Group's Kenneth Adelman and his Edelman Public Relations firm, and now Robert Amsterdam's Amsterdam & Peroff, a major corporate member of the globocrat Chatham House. 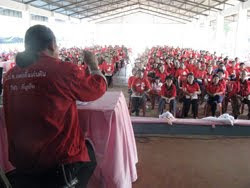 His proxy political party maintains the "red shirt" mobs which in turn are supported by several NGOs including the National Endowment for Democracy funded "Prachatai," an "independent media organization" that coordinates the "red shirt" propaganda efforts. Also interesting to note is that the above mentioned Edelman PR firm is also a sponsor of AYM, and so it should come as to no one's surprise that AYM has been reporting favorably on the globocrats' "red shirts" since 2010, here and here. The International Crisis Group, upon which Thaksin's former lobbyist Kenneth Adelman sits, has shown its support by issuing a paper on the color revolution, berating the Thai government's handling of the protests. Robert Amsterdam's Chatham House also issued a paper, in an attempt to define the "official" narrative. There are also several statements from Freedom House, a NED clone of which Kenneth Adelman is also a member, all coming to the general and unsurprising consensus that the "red shirts" demands are reasonable and should be met. Recently the US National Endowment for Democracy funded Prachatai bemoaned the banning of a recent Economist issue in Thailand in what it calls a display of government censorship. When we consider the Economist's corporate membership within the Chatham House, a membership shared with Thaksin's lobbyist Robert Amsterdam, and the Economist's depraved reaction to the military conquest and economic plundering of Iraq in their article "Let's all go to the yard sale," it seems more of a matter of countering overt enemy propaganda than "draconian censorship." It's these games of calling governments oppressive for reacting to intentional provocations they themselves are a part of, that allows them to then vilify a nation in the eyes of the world, for they control the global mass-media. BBC, also a Chatham House corporate member, illustrates this in their "defense" of the NED funded Prachatai. Keeping all of this in mind, it is quite clear that the globocrats have an expressed interest in regime change for Thailand and are attempting to accomplish this through Thaksin, his political party and the mobs they command in the streets. Their goal is nothing less than it was in 1855, to turn Thailand, or Egypt, or Iran for that matter, into an extension of their business and banking empires. The only difference is that instead of gunboats, they are using color revolutions to extract concessions. It is an attempt to seal a Bowring Treaty 2.0. Thailand's institutions, like anywhere on earth are far from perfect, but conditions in Thailand do not justify mobs coming out into the streets, conducting violence and insisting their extra-legal demands be met, especially when those demands come from a deposed traitor, backed in turn by foreign investors. Considering the largest "red shirt" protest to date gathered a mere 100,000 for less than a day, in a nation of over 70 million people (0.1%), it doesn't even intuitively appear legitimate. As it should have been for Egypt, reform for Thailand must come entirely from within, pursuing pragmatic solutions to address specific problems independently and head-on. This is something politicians in general, worldwide are incapable of doing, and so it must come from real grassroots activism and charity, not street mobs and rigged elections. "red shirts" run political indoctrination camps. Demagogues leading the "red shirts" offer socialist handouts in exchange for servile dependence on their political party instead of empowering people with the education and technical skills needed to solve their own problems indpendently. What's worse is that "red shirt" leaders are not only neglecting to address the ignorance of their followers, but are compounding it by actually conducting political indoctrination camps instead. The ruling government, for its part, has created this exploitable mass of needy, dependent people in the first place by equally side-stepping their responsibility to provide the proper education necessary for empowering society. It is real empowerment through knowledge and education that defines true freedom and is the very foundation of a sovereign society. Many people in Thailand realize this, and it is real grassroots activism and charity that is slowly changing and improving society within the status quo and stability afforded to them by the current ruling government and Thailand's traditional institutions. It's these people that stand up for local villagers when their land is being encroached upon by industrial estates, not the ruling government, and certainly not Thaksin's globocrat-backed "red shirts." Raising awareness of what transpired in Egypt, of what is sure to spread to Iran, Thailand, and beyond, is an essential key to balking the globocrats' plans. For each nation that falls, no matter how far from your own shores it may be, it empowers these already megalithic corporations to become even bigger and more domineering both at home in the West and abroad.